Hello to you all, Tena kotou katoa! Its been a huge privilege to have been your Eastern Ward Councillor for the last three years. I’ve very much enjoyed working with local communities, staff and colleagues to get many good things done. With the election coming up, I have been extra busy contacting residents to make sure I am hearing the many voices of our communities. I’ve met people at bus stops, shopping centres, playgrounds and beaches. I’ve knocked on over 2500 doors and have been humbled by the friendly responses I’ve received. I very much want to continue to serve you all as a councillor and to do so would love your #1 vote. I came on to Council wanting more investment in cycling and walking- and we are off to a good start with the Leonie Gill Pathway completed, a new cycle/walkway planned from the Miramar cutting to Waitangi park and potential funding from NZTA for a safer crossing across Cobham Drive. If you re-elect me, I am committed to seeing those new projects delivered and done well for our communities! Im also committed to working collaboratively with NZTA and GWRC to get the best possible bus service for the city. The bus service must be convenient and affordable. I’ve been outspoken about the need for GWRC to get on and deliver what they have long promised; weekend and evening services, integrated ticketing, off-peak discounts, student fares, decent, user-friendly bus shelters. And electric battery buses if we have to lose the trolleys. We also need some sensible parking solutions in Miramar and ways to make many of our suburban streets quieter and safer. I’m also committed to continuing to invest in our basic infrastructure to meet future challenges and to ensure we have good community infrastructure, libraries, parks and reserves and clean beaches. 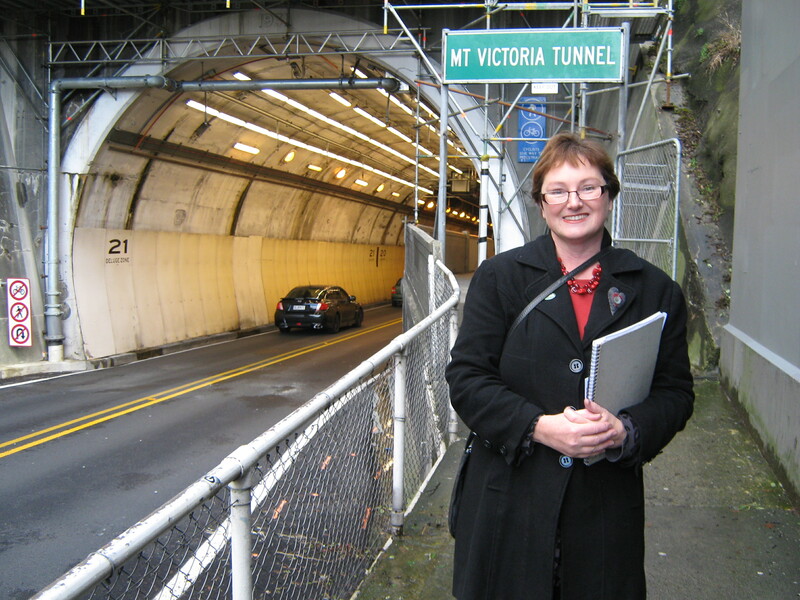 I will listen to the outcomes from the Get Welly Moving project, and will support some roading improvements and a second Mt Victoria tunnel, if I can see they make sense and also provide much better walking and cycling. Wellington must stay beautiful and livable, and space is at a premium in our compact city, so I do believe we need to think carefully before carving too much of our land into roads. I support some investment in the economic area, but it must be underpinned by robust businesses cases. I believe it is important that Council also supports our existing businesses well; making sure we have good basic infrastructure, cutting red tape, keeping rates affordable and buying local where we can. « Public Transport, Walking, Cycling… much to be done!